P.J.L Laurens photo A lowboy hauls an excavator. Moving a heavy object or piece of equipment from one place to another involves transporting that object in some manner, whether it be human strength, animal power or in most instances — trailers. •	Side Kit Flatbed — a side kit is a flatbed with removable sides. This type of trailer is often used in the steel industry and other industries where cranes are needed for loading and offloading. Many manufacturers offer a wide variety of trailers and can even customize them to a customer's specific hauling needs. These companies have a rich history of providing the equipment needed to make the transport easier for their clients. Bri-Mar Manufacturing was founded in 1995 in Chambersburg, Pa. 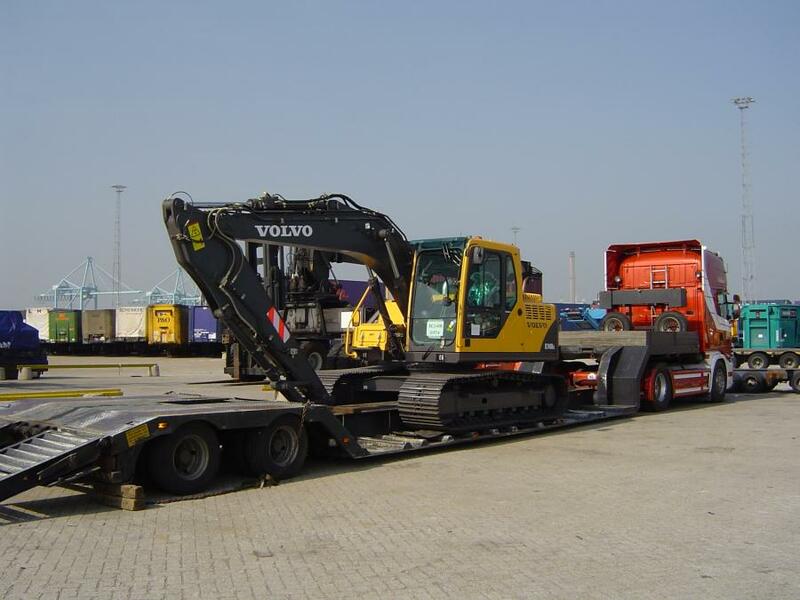 The company offers hydraulic dump, equipment, utility and tilt trailers. In 2013, Bri-Mar became part of BWise Manufacturing LLC. Currently, all Bri-Mar and BWise trailers are built in the same 300,000-sq.-ft. Pennsylvania facility. For more information, call 717/261-0922 or visit bri-mar.com. Since 1946, Eager Beaver Trailers has been manufacturing construction equipment trailers from 5- to 100-ton (4.5 to 90.7 t) capacities. The company's manufacturing facility is located in Lake Wales, Fla., with its parts and sales headquarters in Mickelton, N.J. Eager Beaver offers easy loaders, lowboys and oilfield lowboys to transport equipment for various industries. According to the company, they provide engineering and sales support to custom design a trailer that is best for the customer. For more information, call 800/257-8163 or visit eagerbeavertrailers.com. In 1954, Sauk Centre Welding was in the business of doing small welding jobs for local farmers out of its small shop in Sauk Centre, Minn. 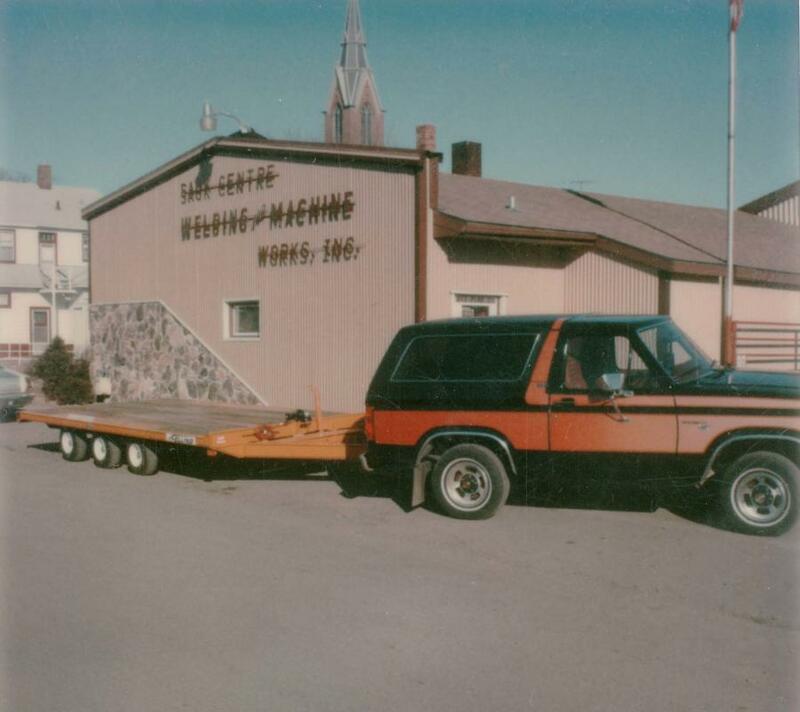 In 1974, Merle J. Felling, a Sauk Centre Welding employee purchased the business from the original owner. Felling saw the lack of quality in the trailers his shop worked on and began making custom trailers for a few of his customers. As word spread of the craftsmanship of his trailers, Felling launched the first line in 1975. Today, Felling offers more than 220 models of trailers with thousands of options. The company provides custom and standard trailers for the commercial transport, construction, public utility industries. It also works with the military, local and state government to meet their trailer needs. The company opened its second facility in Litchfield, Minn., in 2012 bringing its total office/production space to 250,000 sq. ft.
For more information, call 888/335-5464 or visit felling.com. Fontaine Commercial Trailer was founded in 1940. The company is a Marmon Highway Technologies/Berkshire Hathaway Company with Fontaine Heavy-Haul as its business unit. The company is located in Alabama, with various facilities in Springville, Haleyville and Jasper. It offers flatbed, dropdeck, platform, intermodal, heavy haul and military trailers as well as various floor technologies. For more information, cal1 800/821-6535 or visit fontainetrailer.com. Interstate Trailers is located in Mansfield, Texas. The company offers more than 35 models of trailers. The company was founded in 1982 and continues to serve customers by matching their industry needs with the equipment to fit their specifications. The company offerings include tagalongs, tiltbeds, gooseneck and lowboy trailers for various hauling needs. For more information, call 800/433-5384 or visit interstatetrailers.com. Quick Service Welding Company opened in December 1963 as a welding, radiator repair and blacksmith shop in rural Kansas. The business was founded by Don Landoll and his partner, but by 1967, his partner left the business, leaving him as sole owner. Landoll had always wanted to design and build things on his own. In 1968, he designed a slip-in livestock rack for pickup trucks and a chisel plow for local farmers. 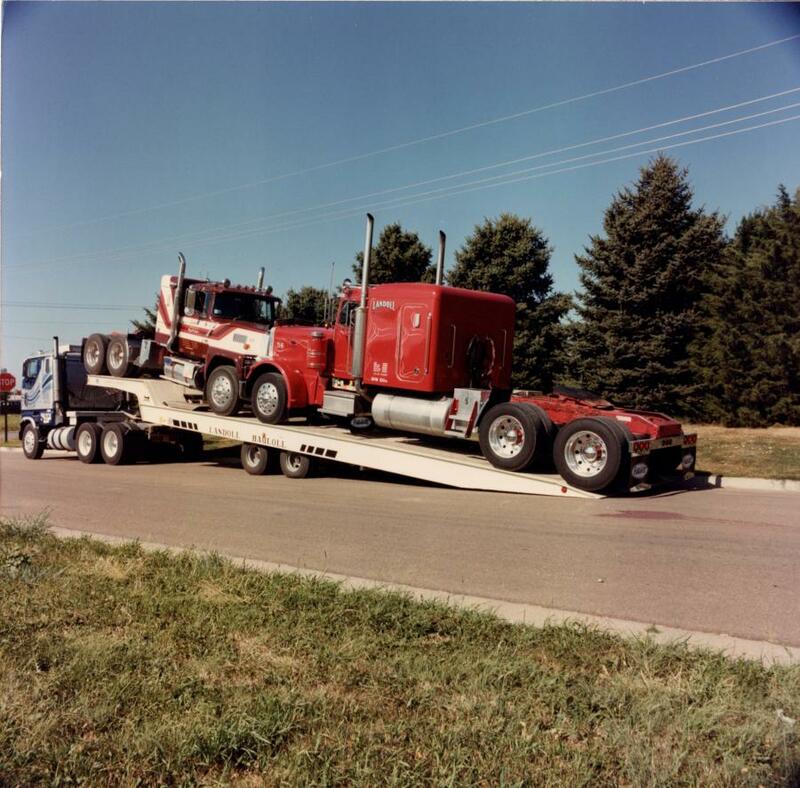 By 1969, the company diversified and began manufacturing equipment trailers, among other items. In 1990, the company contracted with the U.S. Army to manufacture special tank transport trailers to be used in Operation Desert Storm. By January 1991, Landoll had shipped 22 trailers for this purpose. As demand grew, the company continued to build larger shops to manufacture products and improve production. By 1994, the company had 350,000 sq. ft. of manufacturing space under roof on 22 acres, along with state-of-the- art equipment. Today, Landoll provides trailers ranging from 5- to 60-ton (4.5 to 54.4 t) capacity, servicing many industries including towing and recovery, construction, agriculture, rental, forklifts and storage containers. For more information, call 800/428-5655 or visit landoll.com. Rogers Brothers Corporation has been in business since 1905. Located in Albion, Pa., the company offers a variety of trailers designed for the construction, paving and mining industries, as well as specialized trailers for a single purpose, such as boilers, transformers and steel. For more information, call 800/441-9880 or visit rogerstrailers.com. SmithCo Manufacturing was founded in Le Mars, Iowa, by Greg Smith in 1994. Smith wanted to design a side dump trailer to meet the Federal Bridge Formula and improve safety by reducing tip over. The company started production in 1994, producing three trailers with just three employees. By 1998, the company was producing 250 trailers. In 1999, a new 70,000-sq.-ft. state-of-the-art facility was built, allowing for the production of 800 trailers per year. SmithCo offers side dump trailers for many markets including road and building contractors; aggregate producers; agriculture; demolition contractors; governmental bodies; the waste handling and environmental clean-up industry; and erosion control contractors. For more information, call 800/779-8099 or visit sidedump.com. 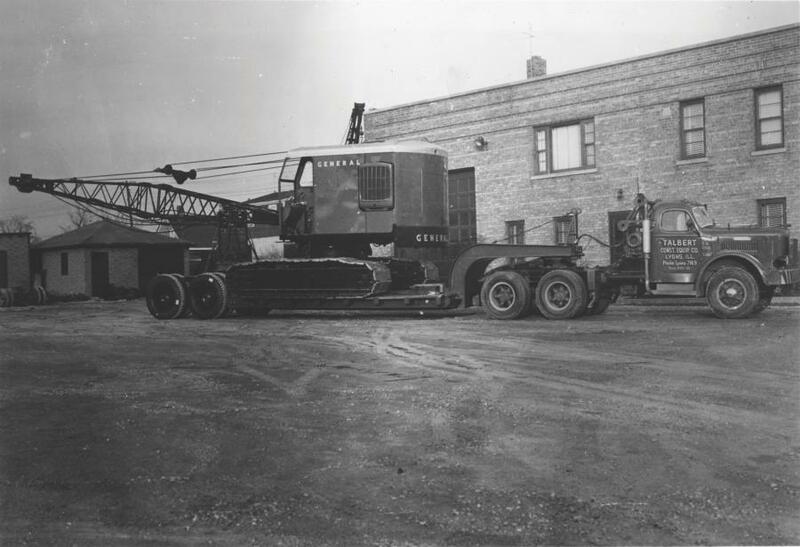 In 1938, Austin Talbert founded a company in Lyons, Ill., to provide crane and construction machinery, as well as heavy haul transport to contractors in the Chicago area. 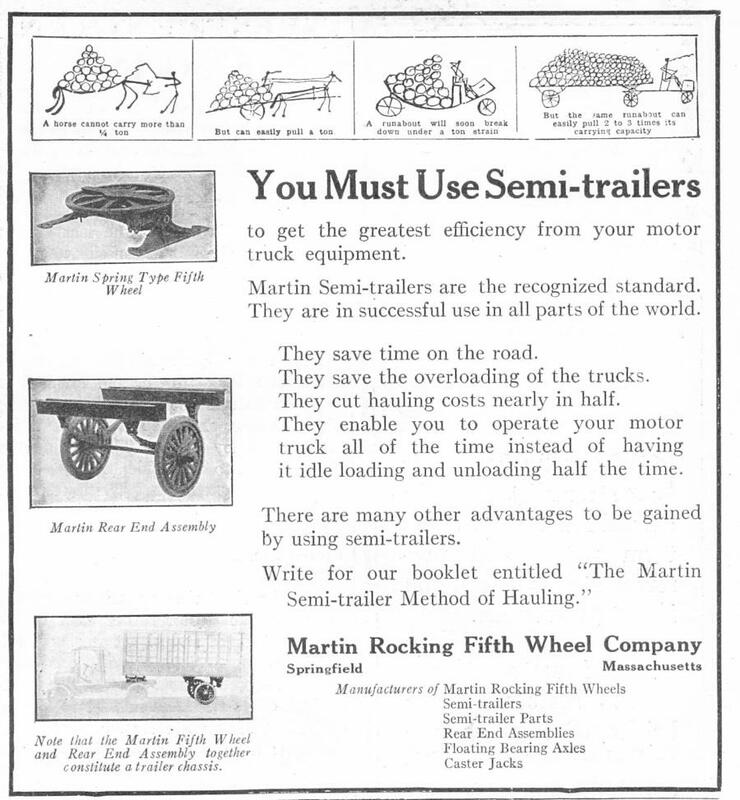 By 1957, the company built a new plant in Rensselaer, Ind., devoted to manufacturing specialty trailers. Talbert eventually closed the Lyon facility to focus on the trailer business. Several of these ideas were patented and are still used today. Talbert offers equipment, hydraulic, spread axle, tank hauler, lowbeds, flat bed, gooseneck and heavy capacity trailers. They also manufacture custom trailers for the customer's specific needs. For more information, call 888/489-1731 or visit talbertmfg.com. The original line of Towmaster trailers was started in the early 1970s by Harlan Palm, owner of Palm Industries of Litchfield, Minn. The company manufactured roll-over protection for tractors and equipment. Palm saw the need for a quality trailer with a low deck height capable of moving skid loaders. The result was the Towmaster pan-style trailer available in a 5,000-lb. and 7,000-lb. (2,268 and 3,175 kg) capacity. As sales grew, a larger line of trailers, including the Contrail was designed. The Contrail was a belly-dump trailer designed for asphalt. During the oil embargo of the mid-1970s, sales of the Contrail dropped and the trailer was discontinued. Meanwhile, Palm had sold his business and began farming. Eventually, Palm redeveloped the pan trailer by adding a deck-over tag-a-long trailer and marketed them under the name Palm Manufacturing. The trailers were built by a subcontractor but later were built on the farm in a large machinery building. A few years passed, and soon the company was designing and building skid loader attachments, as well as the trailers. As sales grew, the company split into Palm Attachments and Towmaster Inc. in 1994. In 1998, Towmaster became an employee-owned company. Its facility in Litchfield has undergone many additions, including a 64,000-sq.-ft. building that houses several trailer lines, three paint booths and a finishing area. Towmaster builds trailers for the construction equipment and rental markets and offers more than 55 different models in eight categories, with several deck lengths and numerous options. For more information, call 320/693-7900 or visit towmaster.com. George Wall founded XL Specialized Trailers in 1995. Headquartered in Manchester, Iowa, the company has rapidly expanded and has become a nationwide distribution network. Wall founded the company based on innovation and improvement of existing products. Today, the company provides heavy haul and specialized trailers for the construction, commercial, agriculture, wind energy, oil and gas and custom transport markets. For more information, call 877/283-4852 or visit xlspecializedtrailer.com.